Sure, Jell-O is the official snack food of Utah. 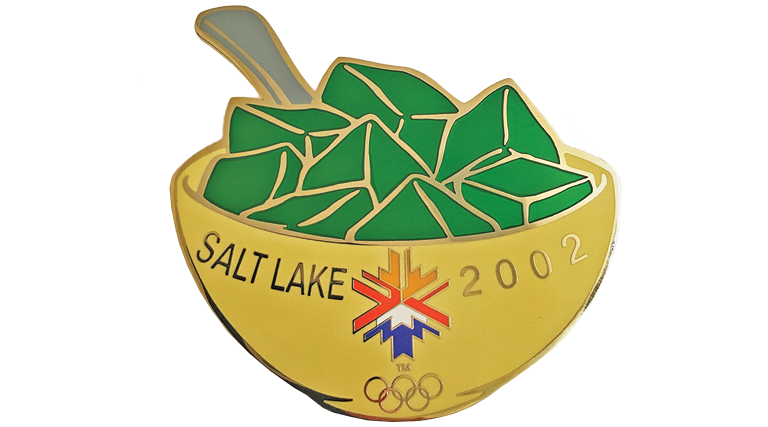 We even had a green lime Jell-O pin as part of the trading pin collection at the 2002 Olympics. But don’t be confused—the celebration of this wiggly, jiggly substance isn’t defined by Utah. In fact, shortly after Kraft released sales figures saying that Salt Lake City residents consumed more Jell-O than anywhere else in the United States, the good folks of Des Moines, Iowa, stepped up to the challenge and overtook us in 1999. And the gelatin has always called New York home—where it was invented and made famous—and even given to immigrants as they arrived at Ellis Island in the early 1900s. What started as just four flavors (lemon, orange, strawberry and raspberry) now makes its appearance at church potlucks and family-friendly events across the nation, often as gelatin salads in daring flavor combinations (celery and seasoned tomato anyone?). Be they molded or mixed, Jell-O salads bring history and heritage to many Utah tables each July—making Fourth of July and Pioneer Day festivities a dazzling array of wobbling delights. “I’m obsessed with Jell-O,” Jennifer Glass admits. “I serve it all the time.” Two that regularly make it to the buffet table are 7 Up Jell-O salad with crushed pineapple, bananas and mini marshmallows and a strawberry pretzel Jell-O salad that’s a knock off cheesecake-type dish. A true American success story, Jell-O has weathered the test of time—gracing the family table through war and rations, weddings and funerals, parties and picnics. From julienned carrots in lime gelatin to cottage cheese in orange Jell-O, here’s wishing you a festive month filled with this culinary curiosity.